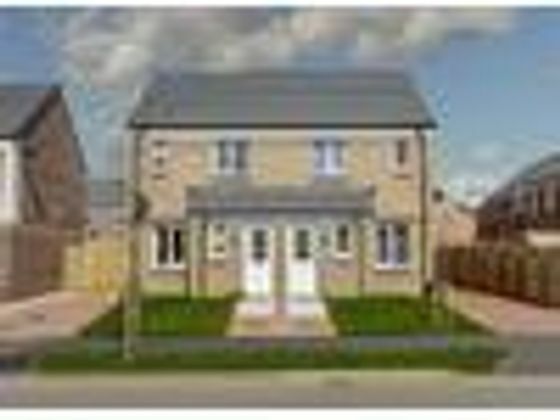 This development offers the following schemes: Help to Buy (Scotland) - Move with just a 5% deposit using the Scottish Government's Help to Buy (Scotland) schemeHome Change - We'll help sell your house in 3 easy steps Schemes are available on selected plots only, subject to status, terms and conditions apply. Contact the development for latest information.Style Description The Ardbeg Key features: Front porch with tiled roof Self cleaning solar roof panels Priva allocated parking Separate entrance hallway Cloakroom including opening obscure window Front aspect lounge Open plan kitchen/dining room with French doors to rear garden Practical storage cupboard accessed from kitchen En suite shower room to master bedroom Space for optional fitted wardrobes within master bedroom Ground floor The ground floor has a convenient downstairs WC, a spacious front aspect lounge and a generous kitchen/dining room with French doors to rear garden. First floor The first floor has the Ardbeg's three bedrooms and a family bathroom. Bedroom 1 has an en suite. Disclaimer: There are variations of each house type. Please ask a sales advisor for more information on the type of Ardbeg used at this development.RoomsGround floorKitchen/Dining Room (4.7 x 2.87 m)Lounge (4.65 x 3.63 m)First floorBedroom 1 (3.63 x 3.15 m)Bedroom 2 (3.02 x 2.44 m)Bedroom 3 (2.26 x 2.21 m)SpecificationSpecification We are a national house builder with a local approach to building your new home. We will provide you with the specification appropriate to the locality of your selected new home and development and we will explain the choice of external materials used, for example your brick colour and roof tiles. You will be able to select certain elements of the fixtures and fittings encompassing the latest designs from leading manufacturers, subject to the stage of build of your chosen home. If you wish to further personalise your new home, an exciting range of options is available to purchase from our Finishing Touches scheme. Our experienced sales team is on hand to guide you through the choices available to you depending again on the stage of build. Quality Assured Your new home will be built in accordance with all relevant technical and building regulations, in particular the Government's Code for Sustainable Homes. In addition all stages of the construction of your new home will be inspected by our experienced construction staff. On completion of your new home we will provide you with a quality assured certificate for you to keep. 10-year NHBC (or equivalent) Warranty A 10-year warranty is provided with every new Persimmon Homes home. A comprehensive guide explaining the warranty will be supplied to you. We will ensure warranties provided by the manufacturers of appliances are honoured for the first year of occupation. Our Customer Care Department is on hand to offer you the necessary guidance and assistance.About GreenleesModern living at its best at Greenlees Greenlees is a fantastic new development coming soon to the historic town of Cambuslang in South Lanarkshire. Comprising a varied range of house types, Greenlees will provide two through to five bedroom homes, plus two bedroom apartments. 15 different house types on offer, from 2-5 bedroom houses and 2 bedroom apartments Easy commute to Glasgow, East Kilbride and Hamilton Opposite Kirkhill Golf Club Well placed for access to local amenities Within the catchment for excellent schooling Situated in the popular suburban town of Cambuslang, just 6 miles south-east of Glasgow, Greenlees benefits from an abundance of local amenities nearby, including a selection of traditional and modern high street shops in the recently refurbished Cambuslang Precinct. For even more choice, the town is just a short drive away from East Kilbride, home to one of Scotland's largest indoor shopping centres, and of course Glasgow ? one of the UK's busiest retail centres. Enjoy the green open spaces nearby Living in Cambuslang means you'll be surrounded by a host of green open spaces and parks. Cambuslang Public Park features 27 acres of outdoor space, a children's play park, an outdoor gym, three football pitches and a multi-use games area. Here you can also take a stroll along the Borgie Glen, a tree-lined ravine containing a network of pathways. Holmhills Wood Country Park and Cathkin Braes Country Park, with its stunning views of Glasgow city and hiking and mountain biking trails, are also close-by. Cambuslang is a desirable setting for families and is perfectly placed for access to local amenities and well-respected schooling. The town also provides an ideal location for commuting to Glasgow, East Kilbride, Hamilton and other locations in the Clyde Valley. Perfect for a range of buyers from first-timers through to families looking for more space. To hear more about this development please arrange an appointment now.LeisureTo complement the existing greenery that surrounds this development, a well-equipped play area will be incorporated into Greenlees. Combine this with the rolling backdrop of green fields and Greenlees truly lives up to its name. There are a number of sporting attractions in the area such as bowling, golf, football and rugby clubs, while the neighbouring town of Rutherglen offers swimming and leisure facilities. Your family can also experience fun hi-octane motorsports at Scotkart Indoor Kart Racing, or if you dare, a session at the Terminator Paintball Arena.ShoppingCambuslang has a bustling town centre plus easy access to East Kilbride and Glasgow for further shopping.TransportGreenlees enjoys fantastic transport links with easy access to the M74, M77 and M73 motorways. The nearby A724 links to Glasgow city centre and Hamilton. The development's nearest train stations are Kirkhill (0.8 miles) on the Newton branch of the Cathcart Circle Line, and Cambuslang (1.4 miles), which lies on the Argyle Line between North Glasgow and Lanark. Several bus routes pass through Cambuslang and, if you're feeling energetic, the National Cycle Route 75 passes through Cambuslang with extensive cycle lanes on the Main Street. For destinations further afield, Glasgow airport can be reached in under 30 minutes by car.Opening HoursMonday 12pm - 5pm, Tuesday Closed, Wednesday Closed, Thursday 11am - 5pm, Friday 11am - 5pm, Saturday 11am - 5pm, Sunday 11am - 5pmDisclaimerImages depict typical Persimmon Homes house type. All room dimensions are subject to /- 50mm tolerance. This information is for guidance only and does not form any part of any contract or constitute a warranty. All information correct at time of publication and is subject to change. Please check specification by contacting the development directly. Property advert Ref 4282873 - Is a property advert for marketing purposes only, the information has been supplied by the owner, estate agent or property portal and The House Shop makes no warranty as to the accuracy or completeness of the information. Furthermore we have no control over the adverts content. This property advertisement does not constitute property particulars. Please contact the advertiser to obtain any information regarding The Energy Performance Certificate regarding homes in England and Wales or Home Report for residential property in Scotland.